Celebrating the life of Robert D. Berube Sr.
Obituary for Robert D. Berube Sr.
GROVETON – Robert D. “Bob” Berube Sr., age 77, passed away on March 27, 2019 at Weeks Medical Center, Lancaster, after years of failing health. 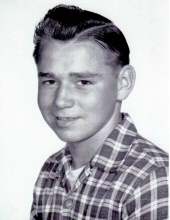 Robert was born July 17, 1941 in Lancaster and was a son of Rene and Florence (Holden) Berube. He lived most of his life in the Groveton and North Stratford area until much of 2018 where he was a resident of The Morrison, Whitefield. Robert worked as a woodsman where he drove skidder, truck and ran chainsaw until his retirement. In his younger days he enjoyed horses, both riding and pulling and at times you would see him driving a horse and cart. He was also a great wheeler and dealer, always looking to buy and sell something! Surviving family members include his mother Florence Berube of Groveton; his brothers, Joseph (Diane) Berube and Dwight (Shirley) Berube both of Groveton, John Berube Sr. of Chesterfield, VA, and one sister Pamela (Gary) Kinyon of Keene. He has three children, Kelly Littlehale of Groveton, Robert Berube Jr. and Angela Willey both of Whitefield. He also leaves behind 9 grandchildren and numerous aunts, uncles, nieces, nephews and cousins. He was predeceased by his father, Rene Berube, in July 2009. A memorial service will be held Saturday afternoon, April 6, 2019 at 2:00PM at the United Methodist Church chapel in Groveton. Burial will be in the spring in the Northumberland Cemetery. "Email Address" would like to share the life celebration of Robert D. Berube Sr.. Click on the "link" to go to share a favorite memory or leave a condolence message for the family.